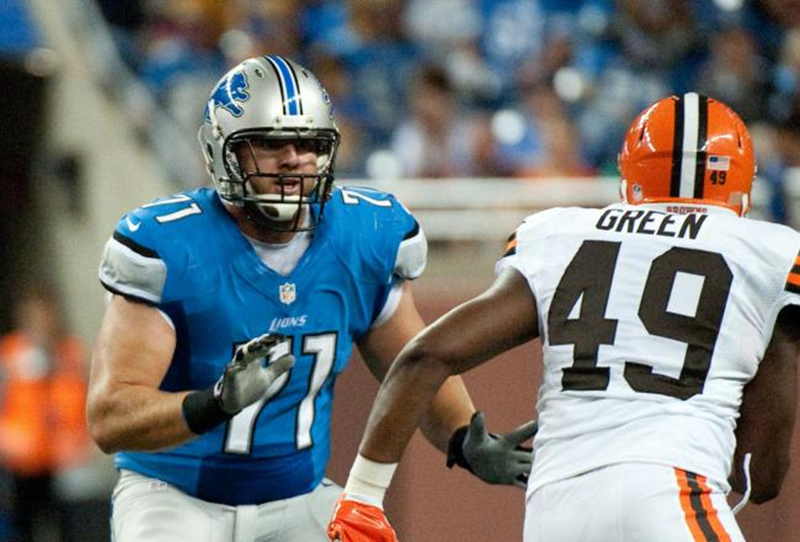 The Lions selected tackle Riley Reiff with the No. 23 pick in last year’s draft and were immediately impressed by his versatility. Impressed enough, in fact, they created a special jumbo package for him this season to get him on the field when he didn’t supplanted Jeff Backus or Gosder Cherilus as a starting tackle. Reiff did play 329 snaps as a rookie and made one start when Backus was injured on Thanksgiving, holding his own in that contest. Reiff’s time on the field this season confirmed what the Lions thought of him on draft day – that he has a long future on their offensive line. His teammates must think the same thing, too, voting Reiff the Mel Farr Rookie of the Year. “Our coach did a great job of finding a way to get him involved in it and getting him on the field,” Lions general manager Martin Mayhew said of Reiff after the season. “He showed he belonged when he was out there, so we’re excited about what he brings to the table. I suspect he’ll be a good player for us for a long time. The Mel Farr Award is presented to the team’s outstanding rookie performer. This award is given in honor of the Lions’ Mel Farr who enjoyed one of the finest rookie campaigns in team history. In that 1967 season, Farr led Detroit in both rushing (860 yards on 206 carries) and receiving (39 catches for 317 yards) and tied for the club lead in scoring with six touchdowns. As a result, he was named the Lions’ Offensive MVP and was honored as the NFL Rookie of the Year by the Sporting News.